The 15th edition of this handy reference tool will be hitting mailboxes soon. It all began when James and Danielle were recent graduates and Louisiana transplants living in Dallas. We wanted to maximize the number of weekend trips back home we could pack into a single football season. 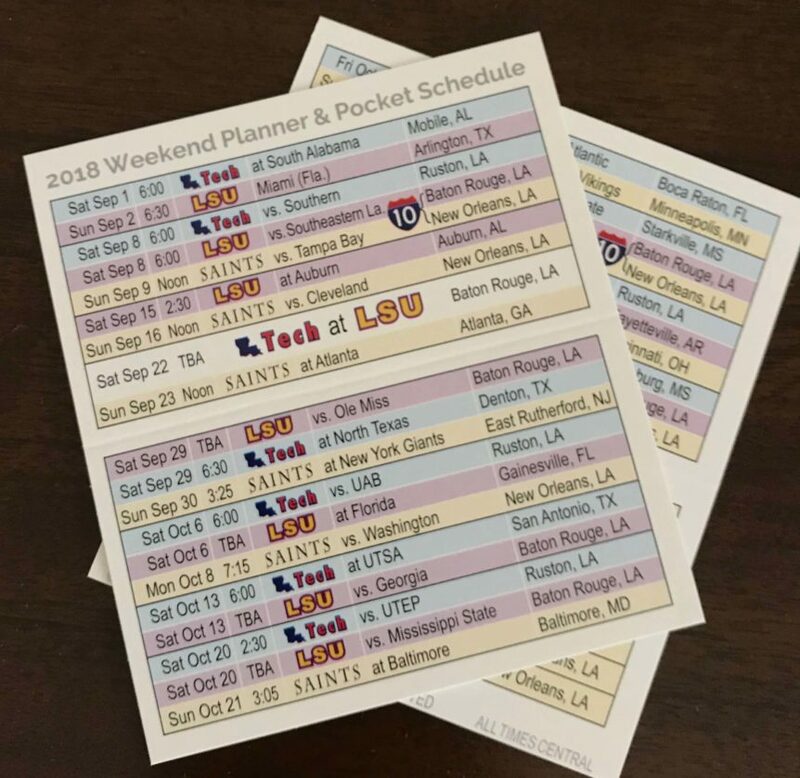 We needed to combine all three of our favorite football teams’ schedules in one place, grouped by weekend, to find the ideal weekends for travel. Fifteen years later, we’re happy to be Louisianians again, but the Weekend Planner is still going strong! Not on our mailing list? Enter your mailing address below, and we’d be glad to send a couple of pocket-sized schedules your way.